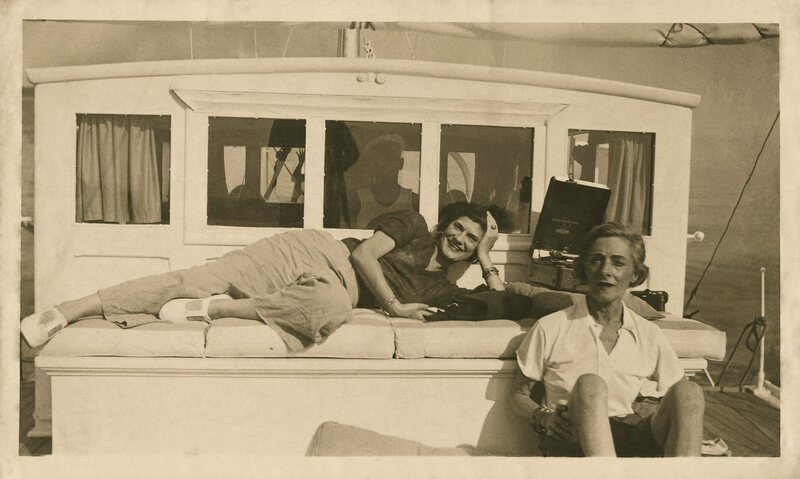 At Chanel, the lion is more than just an emblem—it serves as one of the original inspirations for Gabrielle ‘Coco’ Chanel. 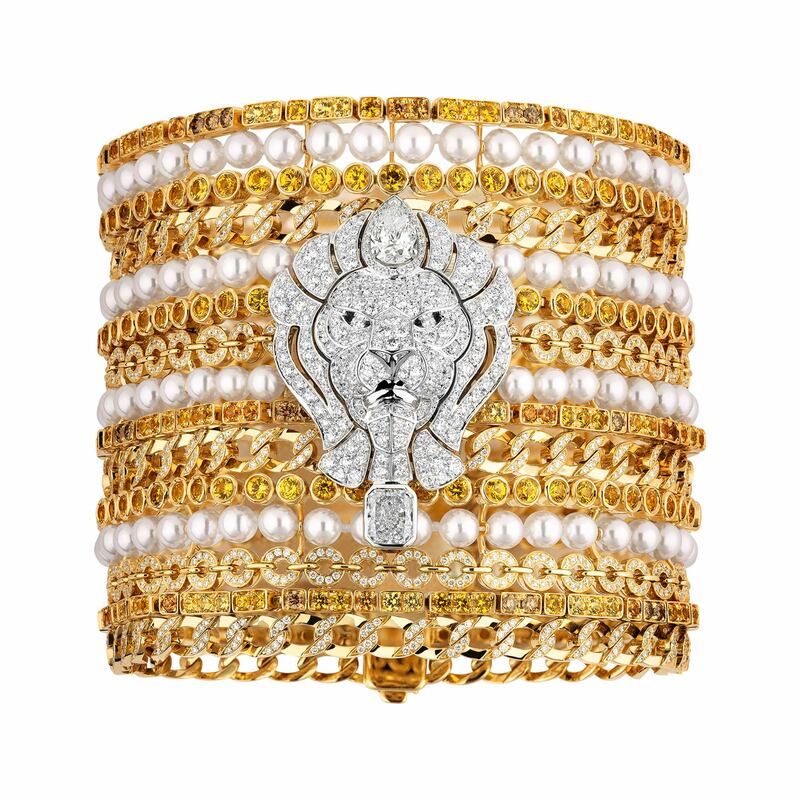 Born on August 19th under the sign of Leo, Mademoiselle Chanel embraced the symbolism identified with qualities of the lion that can be found on many of her creations—from suit bottoms to the clasps of handbags to the brand’s latest L’Esprit du Lion high jewelry collection, available for a limited time at Chanel Bal Harbour. Inspired by the lions found in Gabrielle Chanel’s apartment at 31 Rue Cambon in Paris, the collection represents the fierce and passionate spirit of Coco herself, as well as the haute couture lifestyle of Venice, a city that held a special place in her heart (where the lion serves as the city’s omnipresent symbol). 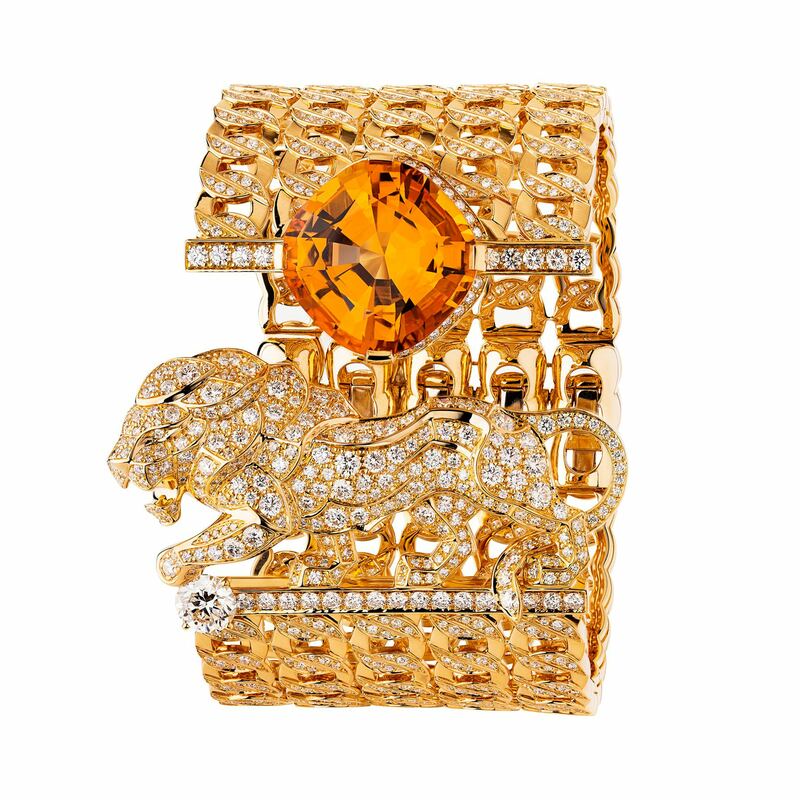 Specifically, the collection features countless carats of amber brown diamonds and yellow beryl, recreating the hues of a lion’s natural habitat. 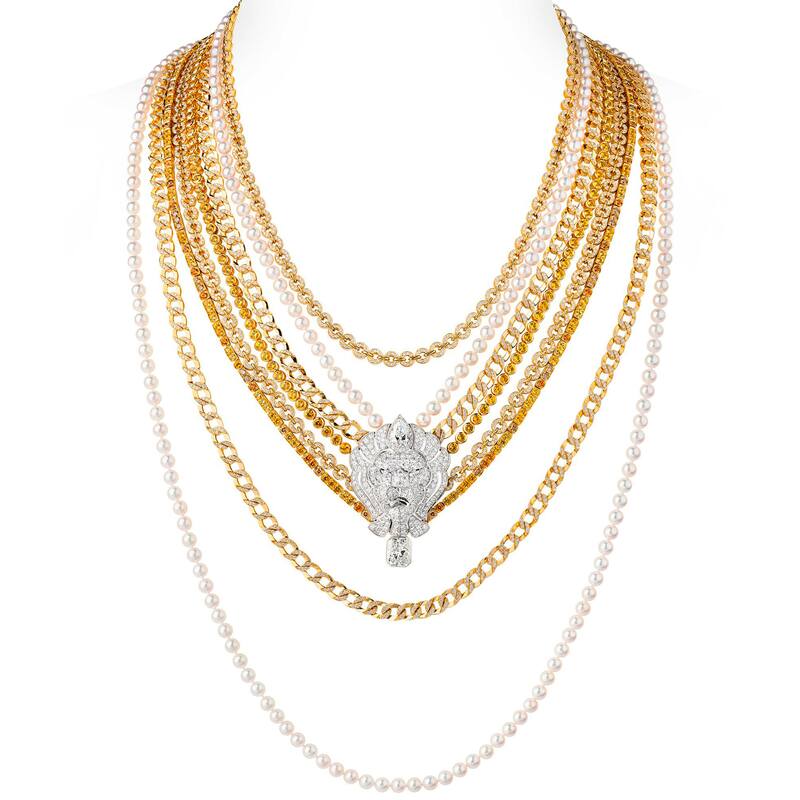 Adorning multi-chain necklaces, open bracelets and chokers, the majestic lion resonates from jewelry sets crafted in yellow or white gold, watching over diamonds, sapphires, beryls and imperial topazes. As one of the most recurring motifs at Chanel, the lion is a “powerful symbol” according to Frédéric Grangié, head of Chanel’s watch and jewelry division, that appeals to women across cultures. The majestic new high jewelry collection pays homage to the Maison’s legacy, while featuring more modern designs of the lion always being depicted in movement. 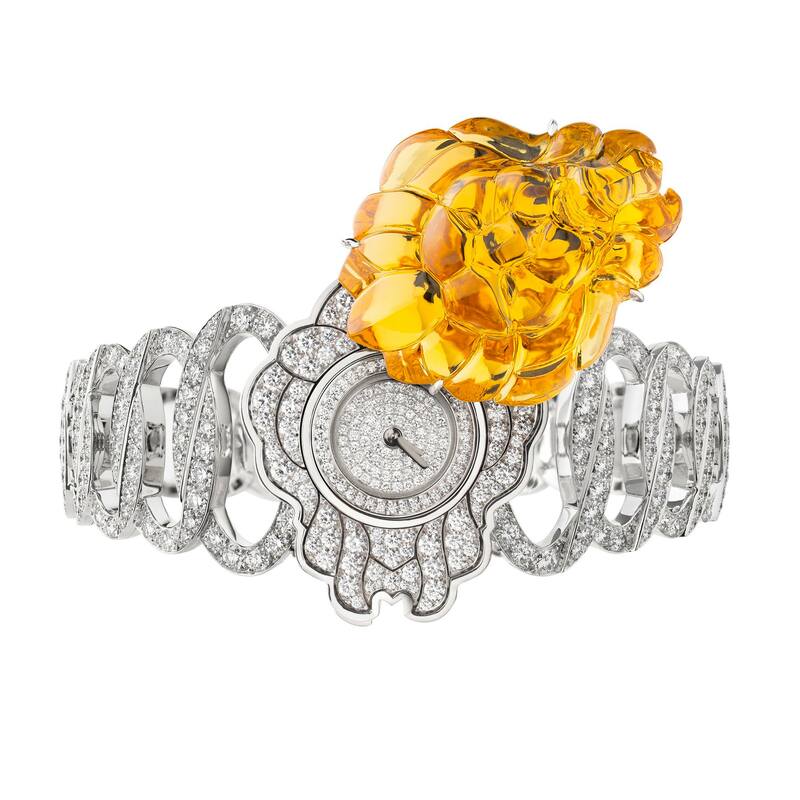 The most visually striking piece is the secret watch called “L’Esprit du Lion Beryl Secret” in 18k white gold, set with a yellow carved cut beryl weighing 37.31 carats and 541 brilliant cut diamonds. The carved beryl pivots to reveal the fully pave-set dial of this one-of-a-kind timepiece. 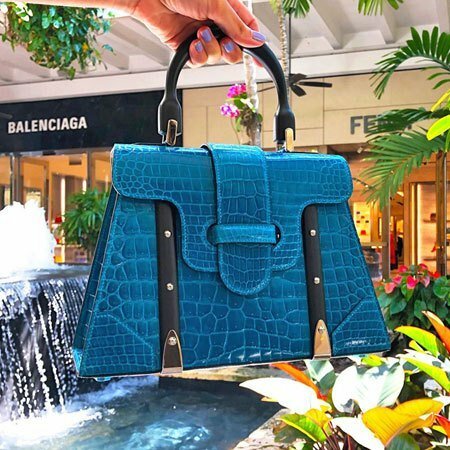 The collection will be available at Chanel Bal Harbour from Saturday, February 9th to Thursday, February 14th.